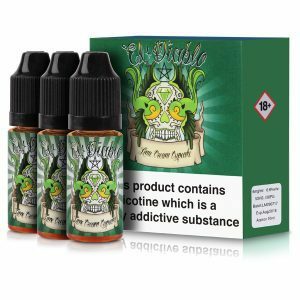 St Louis by El Diablo is a Tropical Fruit mix, with Pineapples, Peaches, and Raspberries. 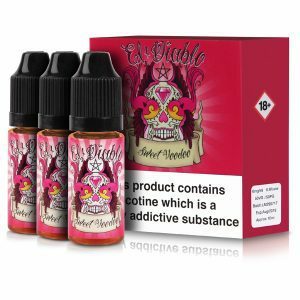 Beelzebub by El Diablo has a blend of Mixed Berries, featuring Raspberries, Blackcurrants, Apples, and Blackberries. 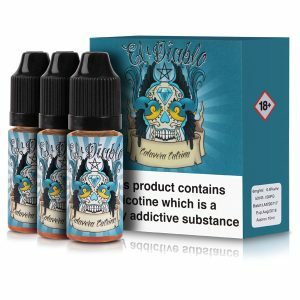 Sweet Voodoo by El Diablo features Strawberries, Cream, and Sugar. Passion Bomb by El Diablo features a blend of Dragonfruits and Passionfruits, along Apples and Strawberries. 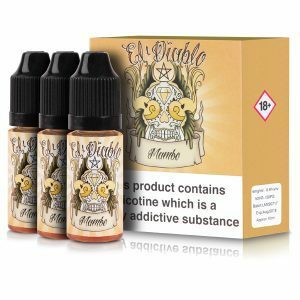 Mambo by El Diablo features Bananas, Cream, Caramel, and Sponge Cake. 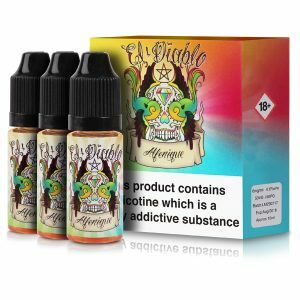 Los Muertos by El Diablo is a fruit and menthol blend, featuring a mix of Blackcurrants, Black Cherries, Raspberries, along with Menthol. Lime Cream Cupcake by El Diablo features Lime, Cream, and a Vanilla Cupcake. Calavera Catrina by El Diablo features a Sponge Cake, with Strawberries and Custard.Calavera Catrina by El Diablo features a Sponge Cake, with Strawberries and Custard.